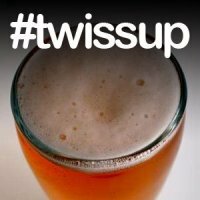 Voting has closed for the February Twissup and we’re going to… York! Despite a last minute surge from Brighton (taking the last five votes), York is where we’ll be going with 26 of the 69 votes (Brighton picked up 21 votes, Newcastle 15, Bristol 4 and Derby a surprisingly low 3). Andy and I will now try and sort out a plan for the day. If anyone knows York well and can suggest a good pub crawl then let us know – remember that we need to be able to fit around 30 people in at a time. We also need somewhere to eat and affordable accommodation for people. The best place to meet will probably be the brewery at 12pm on Saturday 26th February and we’ll try and arrange a tour and a pint to get us on our way. We’ll keep everyone updated by email and twitter from here on in. Get train tickets booked – we’re going to York! How about a North vs South Twissup next time with two happening simultaneously? We can have one group in Newcastle and one in Brighton with people choosing the one they want to go to. Could be fun! Must visits are Castle Rock's Rook and Gaskill (edge of the city), Brigantes (parallel street with brewery), Jamie's bar Pivni (little on the small side, might have to do it in shifts! ), The House of Trembling Madness (upstairs in The Bottle off license). The Blue Bell is also fantastic, but they don't let groups in due to its tiny nature. I've posted some thoughts on places to go on Andy's blog. Last time you were up north you got to see the back streets of Manchester and Huddersfield in the dark. But this time I'm sure we'll dip in and out of the city so you'll get the chance to see York and its a lovely place. It appears that The North holds influence when it comes to the Twissup. I don't like the idea of splitting the event as if we do that I think that would be its downfall. We will be down in London for Beer Bloggers Confrence and GBBF so that evens it out. See you all there. I can personally vouch for Pivni and Brigantes - I had my stag weekend in York and there are tonnes of options. And a lovely place to boot!